Thank you for joining me as we count down to the next MFT release. We are just two short days away from the big day! All the new Stamps, Die-namics, and Stencils will be available on Tuesday, February 3 at 10:00pm EST. Be sure to check out the MFT Blog to see all the new items being revealed today. Don't forget to leave a comment on the MFT Blog. Countdown posts, YOU could win one of the five $75.00 gift vouchers. I have a sweet card to share with you today. 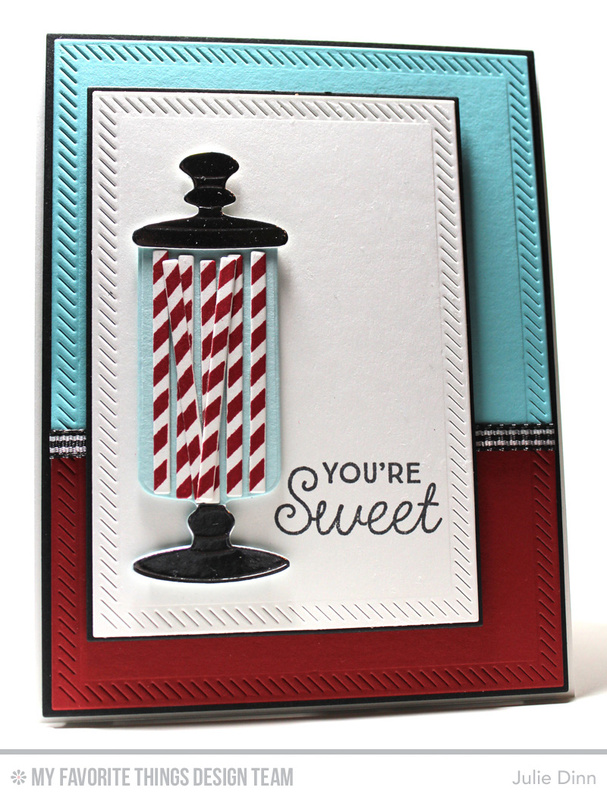 It features the adorable new Candy Jars Die-namics and Candy Jar Companions stamp set. The Candy Jars Die-namics is full of all sorts of sweet treats! I love sets like this that are full of accessory dies. 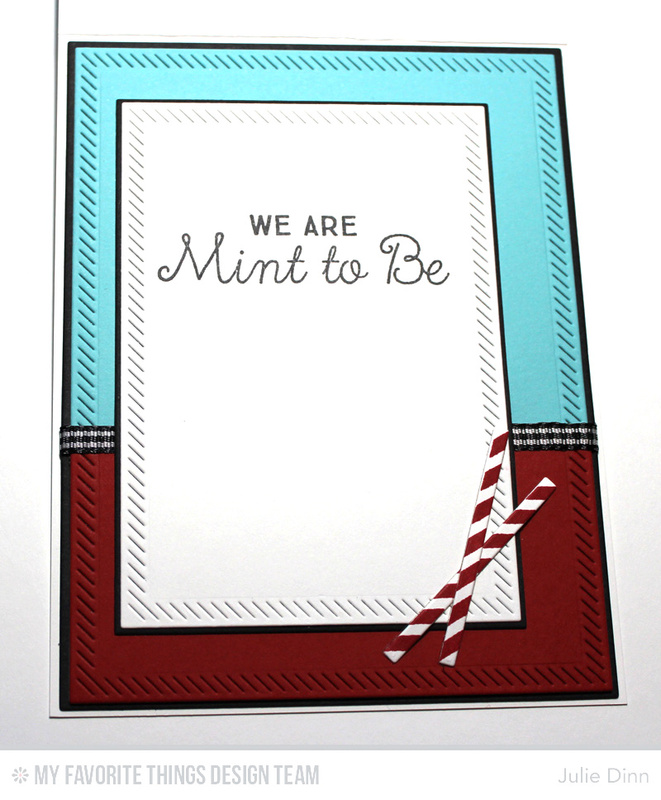 On the inside of the card, I stamped another sentiment from the Candy Jar Companions stamp set and I added a few additional mint sticks. How adorable is this little candy jar and candy sticks! I just love your card and these sets!